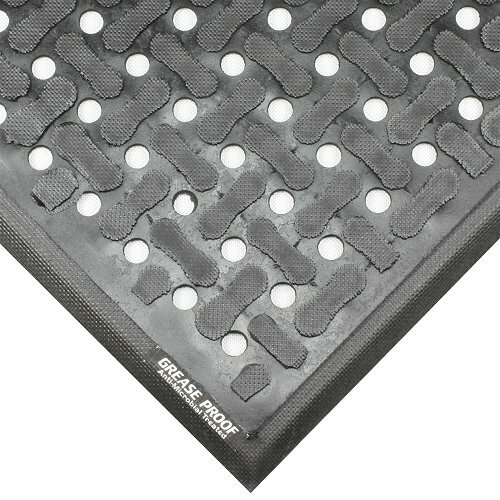 This light weight mat is for easier handling and is fully launderable. Ideal for wet or dry areas. It provides excellent anti-fatigue properties for added employee comfort. This mats brother is the #430 Comfort Scrape, same mat just with holes. 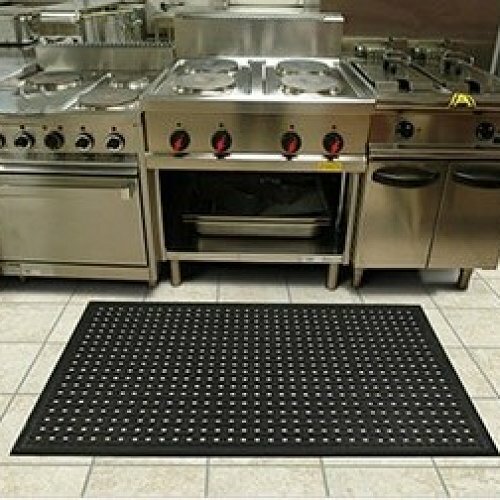 This mat is perfect for processing food areas, machine shops and heavy industrial applications and is constructed of closed cell nitrile rubber cushion that is 100% high density. It is far superior when it comes to grease and oil resistance. It is treated with an anti microbial substance to guard against odours and degradation. Its low profile and slip resistant surface reduces slip and fall accidents. The non-skid backing keeps the mat in place. Green friendly. 100% Nitrile Rubber is 10% recycled content. 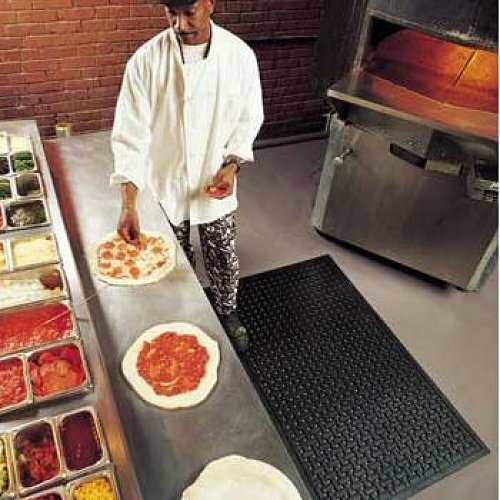 Comfort Flow mats, being imported from the USA, are certified slip resistant by the National Floor Safety Institute.